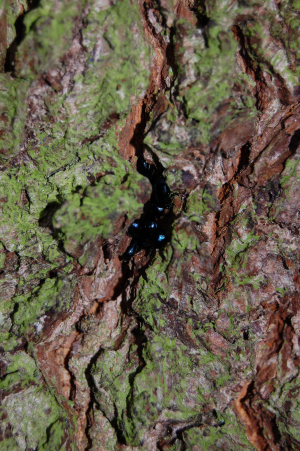 Observation - Blue/black beetles - UK and Ireland. Description: 6mm, cuddling up in bark crevices. In birch wood. 6mm, cuddling up in bark crevices. In birch wood.